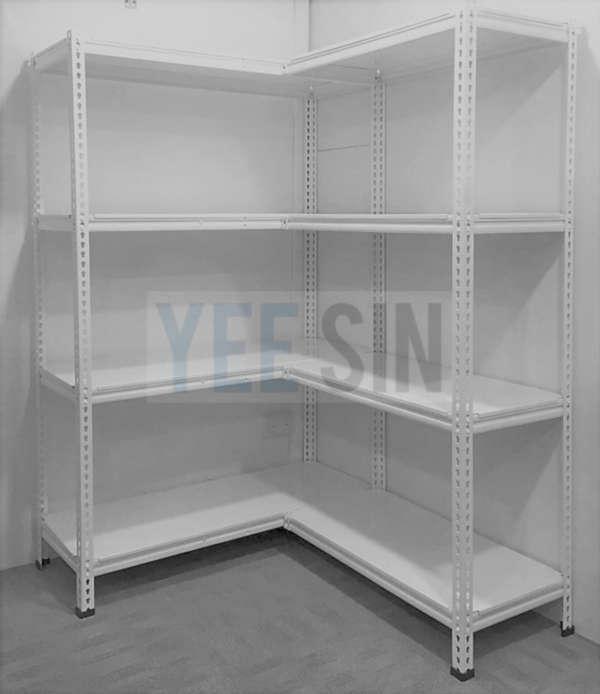 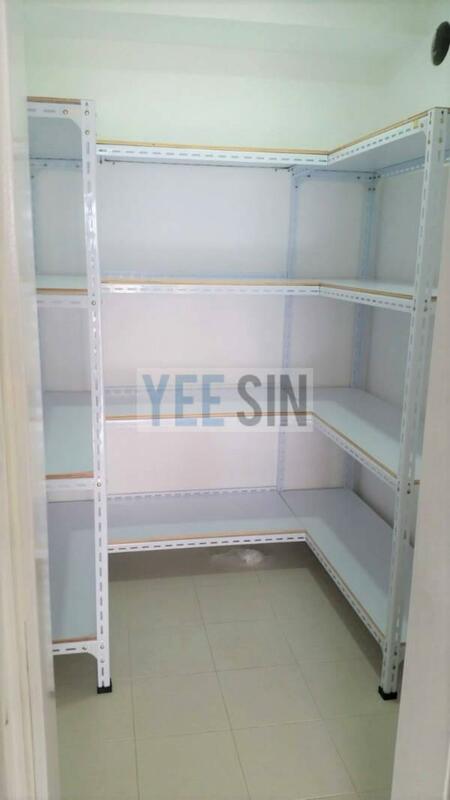 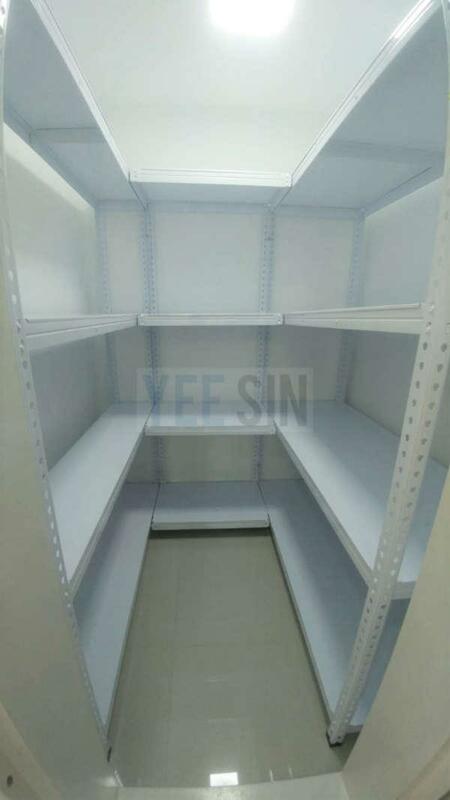 Yee Sin Storage is established since 1984 and specialises in storeroom rack, boltless rack, bolt and nut rack, shelf rack, bomb shelter rack, storage rack, metal rack, shelving racks and other racking systems in Singapore. 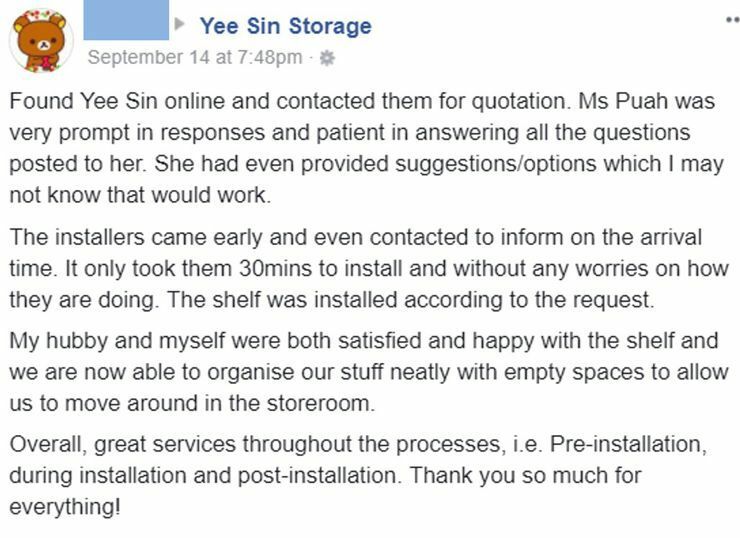 We have been providing storage solutions for thousands of satisfied customers since 1984. 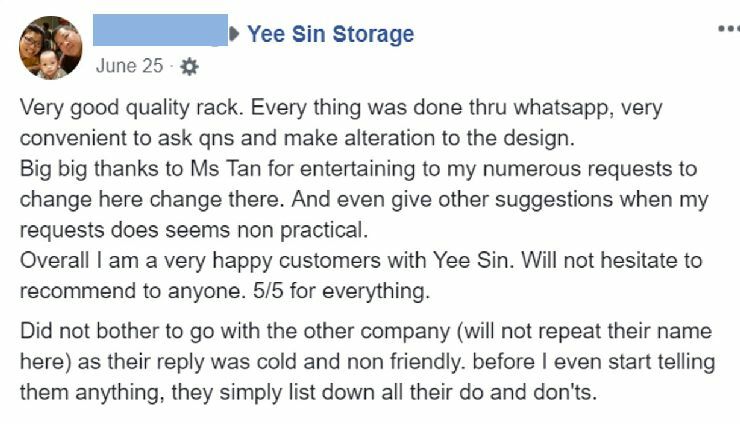 Here are some of their wonderful reviews!